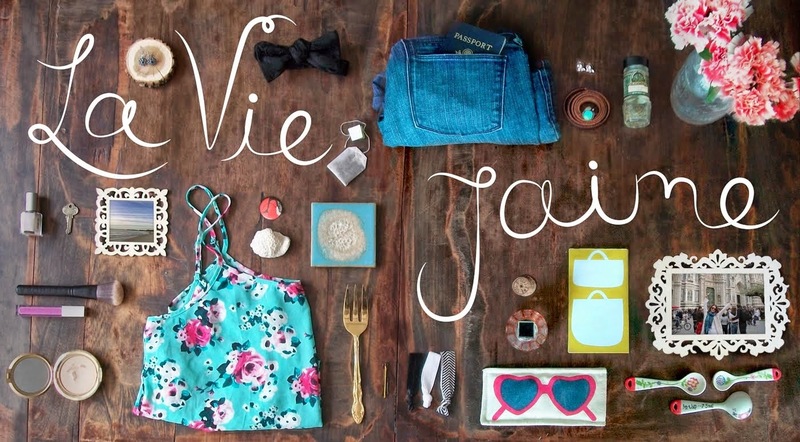 La vie Jaime : Chatting with DailyCandy Deals Boston! Chatting with DailyCandy Deals Boston! The popular website DailyCandy just launched their DailyCandy Deals Boston this past Monday. Amazing sales have already been posted this week to Boston Bridal Lounge and Haru restaurant- can't wait to see what else is to come! I was thrilled to interview Holley Simmons, DailyCandy Editor about this exciting new launch. 1. I've been reading DailyCandy for years and am so excited about the new Deals program! How did DailyCandy Deals get started? Thanks. DailyCandy has a long tradition of supporting small business owners, savvy entrepreneurs, and basically anyone making her dreams come true. We thought to ourselves, How can we help the establishments we love reach more people? And DailyCandy Deals was born. We make it easier for people to experience places they may have never visited with deals for 40%-70% off, and in return these businesses grow their customer base. 2. Over the last few years, flash sale sites have become quite popular. What makes DailyCandy Deals Boston unique? DailyCandy Deals – in Boston and beyond – is different in that we already know these cities inside and out. We’ve been building our metaphorical Rolodex for over ten years and have trusted relationships with some of the city’s best businesses – so trusted they‘re willing to give us discounts they might not give other companies. 3. What upcoming deals can we expect from DailyCandy Deals Boston? We have a great lineup in Boston, including a Newbury Street salon, a pan-Asian restaurant in Harvard Square, and even a sailing deal that gets you up close and personal with Boston Harbor. 4. Are other cities in the works? Next up is Atlanta, Dallas, D.C., and Seattle. Be sure to tell all your friends in those cities. 5. DailyCandy is all about the “sweet life." What makes life so "sweet" for you? What makes the DailyCandy girl different is she knows all the best-kept secrets in her city – and she’s more than happy to share them. We scour the city to find new and interesting stuff to send along to our readers, and in the process, we help promote the spread of small businesses in our city. It’s a pretty sweet gig. Do you read DailyCandy and have you heard of DailyCandy Deals in Boston or your city? Oh I just love Daily Candy! Great site! Nice! I love daily candy but was not fully aware they were starting deals here. Great interview. So cool, you must be super excited! I hadn't heard of DailyCandy before. Thank you for stopping by dear. I am your new follower. Follow me? Great interview! I just got the email about Daily Candy launching a Boston deals- so very excited! The sailing deal in Boston harbor sounds especially intriguing! A delightful post. Shall bear these tips in mind for my forthcoming trip to DC and NY. Kicking myself for missing the Haru deal!!! I love that place, sad face.